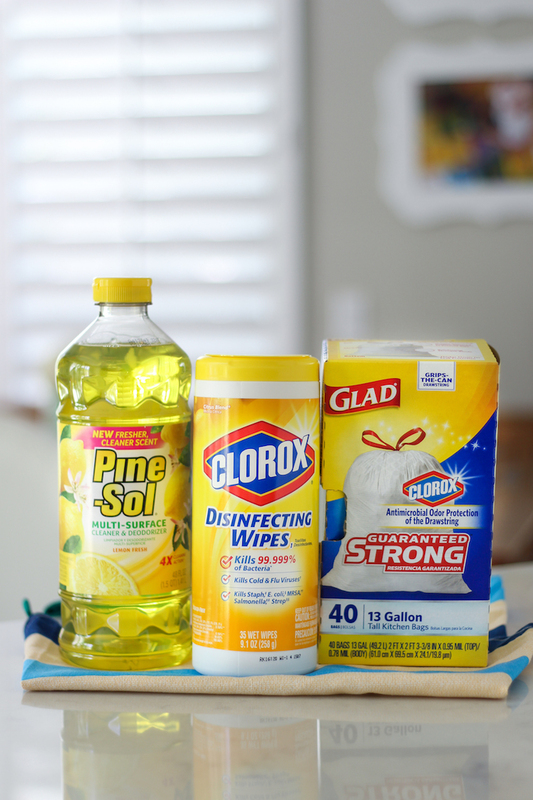 These 3 Smart Cleaning Tips are THE BEST! I’m so happy to share these amazingly easy and smart ideas with you now that spring cleaning is in full swing! Have I mentioned that I love spring cleaning season? I love to open the windows, let the sun shine in, and feel the breeze blow through a clean and tidy house. 1. 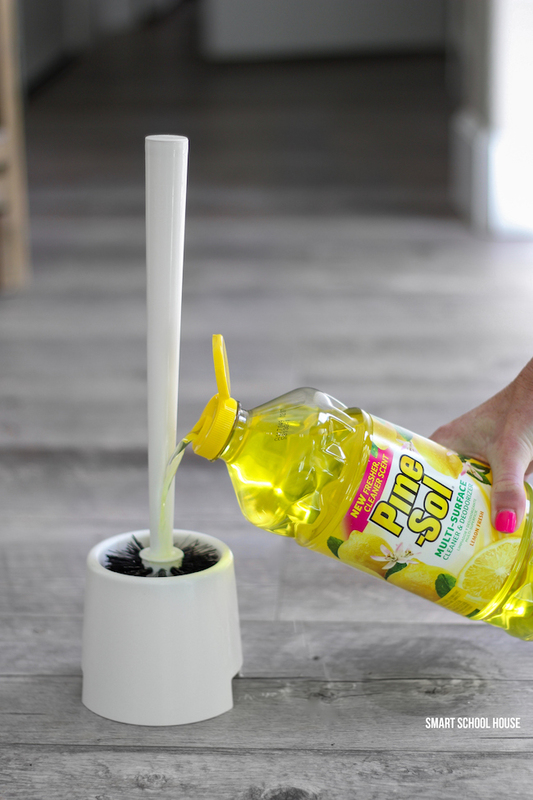 Use Pine Sol Lemon in the bottom of a toilet brush holder. There is no denying that the smell of Pine Sol Lemon reminds us all that something is clean and there is no better place to have that wonderful deodorizing scent than in a bathroom, right? Plus, the extra power of Pine Sol in the toilet brush holder makes it super easy to do a quick and effective toilet cleaning. 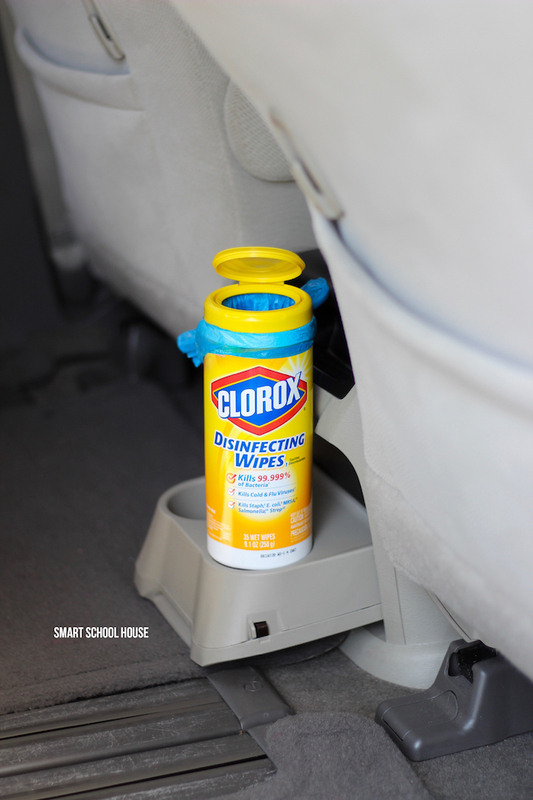 Clorox Disinfecting Wipes are a staple in our home. We use them everywhere around the house, including the floors, the mirrors, the counters, etc! They kill cold and flu viruses and 99.999% of bacteria (no joke) making them very popular to me:) Needless to say, we go through several Clorox Disinfecting Wipes containers each year. Instead of tossing the containers, lift the lid off, put a dog bag inside, and snap the lid back in place again. It is a perfect little DIY trash can for places like the car! In southern California we don’t have extremely cold winters. So, we don’t need to pack up any winter clothes into bins for storage. Instead, I like to protect the winter clothes in my closet with trash bags like this. They can still hang in my closet but they won’t collect dust or messy. 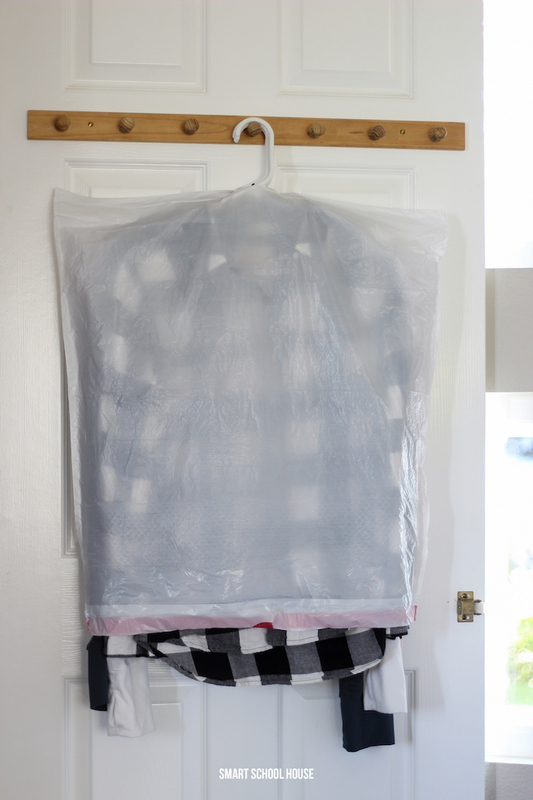 Glad garbage bags with antimicrobial protection are a great choice for keeping the hanging clothes just as they need to be for next winter with their guaranteed strong hold. Simply make a small cut in the bottom of the trash bag (right in the middle), slip the hangers through, and you’re done! Adios winter clothes, the warm sun is here to stay for awhile! (This works great for moving too).